pain – I "SAM" THE TRUTH! It is excruciating how a single moment is metamorphosed in a blink of an eye. A few hours from now, wonderful thoughts lingered my disturbed mind. If it was to surround myself with eternity, I hurriedly rose up from where I took a morning nap. A norm it would be to have a hunch of goose bumps whenever I leave this sweet place…our home. Instead of taking the usual routines in the morning, I ate my late breakfast and washed the dishes. Mom was expecting us to re-organize our closet so I did my job for her. Fold the clothes here and there, transfer the blouses to another drawer…separate tees from collared shirts and sort them out according to the number of times we use them. Forever did not take me; with that for after a few minutes, I found myself applying powder on my face. Of course, I already took a not-so-long-morning-bath-just-enough-to-ease-the-summer-heat-on-my-skin and wore the normal clothes I wear. My olive floral flat shoes were already dry from my hand-wash last Saturday. I slid down my feet unto their smooth soles, then, I am ready to go. I was the last person to leave the house and it never came to me that I, too, was the first person to go back to it today. Silent thudding of steps into the warm ground, bulky shoulder bag gliding with the wind, medium-sized hair swaying across the face and a sweet smile from a comely lady assures that today is the day that the Almighty has made. I whispered a short prayer in front of our Sto. Nino before I finally left the house. Riding the tricycle on the way to the bus stop has always been that soothing. Positive thoughts won my mind. A father and a child driving the motor and earning for a living? Wow! I had flashback of our early childhood days. Papa used to be a tricycle driver, too, when we were young. With his permission, me and my sister go with him and be his barkers. At the end of the day, it wouldn’t be complete if we haven’t bought our favorite foods. I could have cried there because of that. And here goes reality, again…we passed on to my Alma Mater, Binmaley Catholic School. Unbelievable as it is, but I couldn’t contain my emotions. (I really am being so emotional for the past few months.) Since we graduated on the four corners of this prestigious school, I started walking through another page of my life. We reached the bus stop along the town proper. It made me jump a little to proceed there because the barkers already knew my name. There is no day when they didn’t call me ‘Samantha’ and the people had to look my way with a question on their faces. Well, if it’s not for the local beauty pageant I joined when I was sixteen, I wouldn’t be that known about. It’s somewhat complimenting, though, to have them memorized you, instead, even if you’re not the title-holder. I took the two-person seat and it’s a little too hot up there. It’s 10:16AM on my smartphone’s digital clock so I presumed that I will arrive in Dagupan at 10:36AM because there were no traffics that time, except for what’s causing a road delay because of a road reconstruction. Usually, when I was still a student, I count it a 30-40mins drive from Binmaley to Dagupan. The adrenaline rush oozed my system when we arrived to our university. Eventually, my calculation was almost exact. At 10:38AM, I was walking down the hallways of our university. The next two hours I spent there talking with our college secretary and a few of my friends. After that, I was alone. Some of my acquaintances caught me daydreaming. I wasn’t ashamed, yet, until a professor passed in front of me for the fourth time. Man, was I much lone? I need to find myself. To kill the boredom, I switched on my pocket router and brought out my smartphone. It’s a good day for a sound-tripping, ain’t it? That was when a text-message broke everything. My knight in shining armor came rushing towards me. Good, oh, good, how I missed him! The other details, I will not write here. It’s better if you don’t understand, LOL. Seriously, we ate our lunch together and talked about us. The conflicts we have, we tried to solve them little by little. Even if I was moody, recently, we are trying our might to deal with each other because love has already found us so it will also never leave us. Have you had a question to yourself before: Why are we destined by God together? All right. It doesn’t matter if you believe in destiny or not. 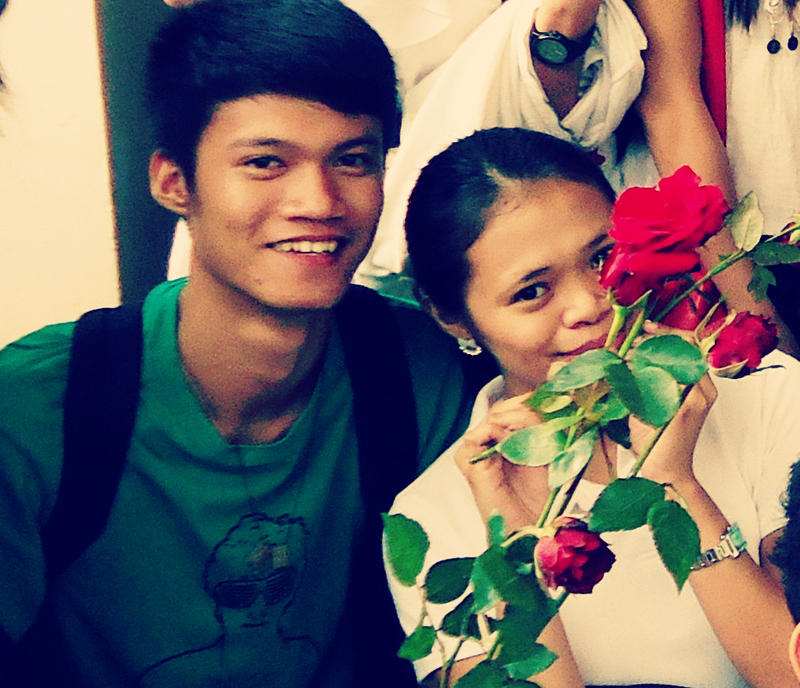 For me, I believe in God and I strongly uphold that the greatest reason why we’re together now is because of HIM. To be honest with you, I did not choose you. God chose you for me. Sorry for the times that I almost gave up. For the times that I failed to understand you or for the times that I intended to, thank you for your patience. My love, thank you for the coke and the fries you bought for us even if that’s the only penny left inside your pocket. For the times that you fearlessly spend the last money left for me, I don’t know how I am going to repay you. Your sacrifices are selfless, my love! And I am so sorry if I ignored you too many times today because I want you to go my own way. Sorry, my love, if I was silent the whole time. If I tried to go home already because you, too, were silent. Sorry, my love, if I suddenly released your hands when people made fun of our holding of hands. Sorry, my love, if I was holding back when we were walking. Sorry, my love, if I hadn’t noticed your starving. Sorry, my love, if I ignored you while you were offering the coke and fries you bought for us. For it’s the only penny left inside your pocket, sorry. Sorry, because I was too blind to see your efforts and sacrifices for me. You were dizzy that time after your check-up and vaccine. I was too numb to feel that you, too, were hurt and troubled of your own problems. Sorry, my love, if I am too impatient and irritable towards you. We are both facing personal crisis, I know. And we must help one another, just as how we did it before. Sorry, if I did not text you when I got home. Happy 19th, my love! Keep holding on, we’re almost there. Pray all the time. I love you. Now, also in an instant, it’s amazing how God quickly reconciles two persons who misunderstood each other. I received a text-message from him. LORD, please bless our relationship. He’s my greatest treasure. Take care of him. With this, I am concluding my blog. Thanks for spending some time with it!